In this paper, we investigate the electromagnetic electron cyclotron (EMEC) waves in the magnetosphere of Uranus. By using the method of characteristic solution, the expression for dispersion relation is drawn. 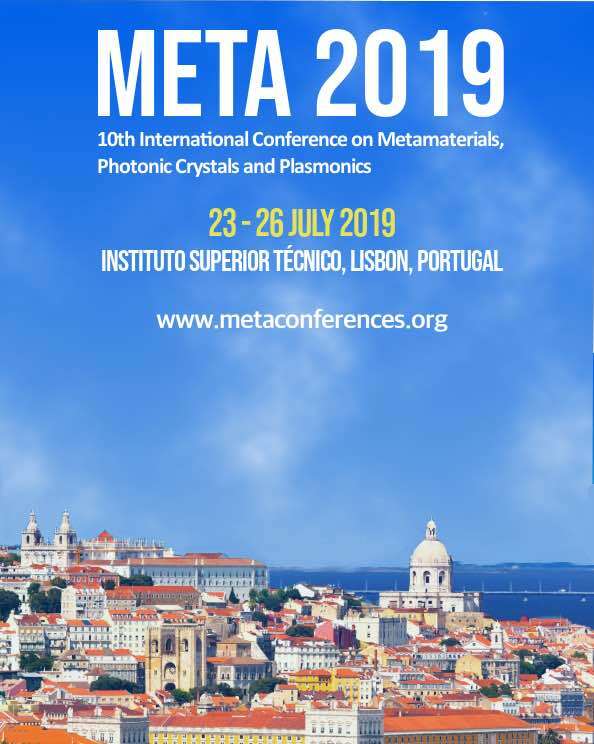 Following kinetic approach, the growth rate and real frequency of EMEC waves is studied theoretically, considering the injection of cold plasma beam in the Uranian system. The observations made by a space probe launched by NASA, Voyager 2, showed unusual orientation of planet’s spin axis and presence of more particles in high energy tail in Uranian magnetospheric plasma. Therefore, in this paper Kappa distribution is employed instead of usual Maxwellian distribution. 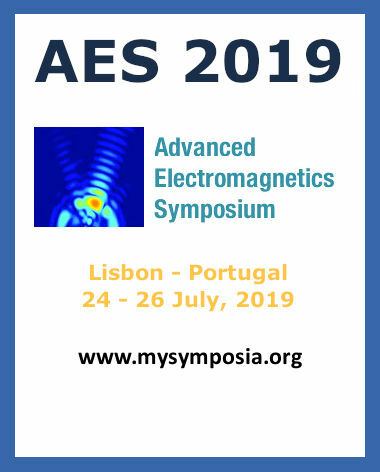 The study is extended to the parallel as well as the oblique propagation of EMEC waves with variation in temperature anisotropy, number density of electrons and angle of propagation with respect to magnetic field direction. It is found that these parameters support the growth rate of EMEC waves. But response of real frequency of these waves is not same as that of growth rate for all the cases. Numerical analysis also revealed that as the ratio of number density of cold to hot plasma increases growth rate of EMEC waves also increases. Thus, denser the beam is injected, more the growth can be observed. These results are appropriate for applications to space plasma environments and magnetospheric regimes for detailed comparative planetary study. Behannon K.W., Acuna M.H., Burlaga L.F., Lepping R.P., Ness N.F., Neubauer F.M. 1977. Magnetic field experiment for Voyagers 1 and 2. Space Sci. Reviews 21(3): 235. Ness N.F., Acuna M.H., Behannon K.W., Burlaga L.F., Connerney J.E.P., Lepping R.P. & Neubauer F.M., 1986, Science, 233 no. 4759, 85. Gurnett D. A., Kurth W. S., Scarf F. L., Poynter R. L. 1986. First plasma wave observations at Uranus. Science 233: 106. Scarf F.L., Gurnett D.A., Kurth W.S., Coroniti F.V., Kennel C.F., Poynter R.L. 1987. Plasma wave measurement in the magnetosphere of Uranus. J. Geophy. Res. 92 (A13): 15217. Kurth W.S., Gurnett D.A. 1991. Plasma waves in planetary magnetospheres. J. Geophys. Res. 96, 18977. Kurth W.S., Barbosa D.D., Gurnett D.A., Scarf F.L. 1987. Electrostatic Waves in the Magnetosphere of Uranus. J. Geophy. Res. 92, A(13):15225. Kurth W.S., Gurnett D.A., Scarf F.L. 1986. Sporadic Narrowband radio emissions from Uranus. J. Geophys. Res. 91: 11958. Kurth W.S., Gurnett D.A., Scarf F.L., Mauk B.H. 1989. Plasma waves in magnetotail of Uranus. J. Geophy. Res. 94(A4): 3505. Russell C.T., Song P., Lepping R.P. 1989. The Uranian magnetopause: Lessons from Earth. Geophys. Res. Letters 16(12): 1485. Coroniti F.V., Kurth W.S., Scarf F.L., Krimigis S.M., Kennel C.F., Gurnett D.A. 1987. Whistler mode emissions in the Uranian radiation belts. J. Geophys. Res. 92: 15234. Belmont G., Fontaine D., Canu P. 1983. Are equatorial electron cyclotron waves responsible for diffuse auroral electron precipitation? J. Geophys. Res. 88: 9163. Roeder J.L. and Koons H.C. 1989. A survey of electron cyclotron waves in the magnetosphere and the diffuse auroral electron precipitation. J. Geophys. Res. 94: 2529. Summers D., Tang R., Thorne R.M. 2009. Limit on stably trapped particle fluxes in planetary magnetospheres. J. Geophys. Res. 114: A10210. Meredith N.P., Horne R.B., Thorne R.M., Anderson R.R. 2009. Survey of upper band chorus and ECH waves: Implications for the diffuse aurora. J. Geophys. Res. 114: A07218. Stone E.C., Cooper J.F., Cummings A.C., McDonald F.B., Trainor J.H., Lal N., McGuire R., Chenette D.L. 1986. Energetic charged particles in the Uranian magnetosphere. Science 233(4759): 93. Selesnick R.S. and Stone E.C. 1991, Energetic electrons at Uranus: Bimodal diffusion in a satellite limited radiation belt. J. Geophy. Res. 96 (A4): 5651. Kennel C.F., Engelmann, F. 1966. Low‐Frequency Whistler Mode. Phys. of Fluids 9: 2377. Shklyar D. and Matsumoto H. 2009. Oblique Whistler-Mode Waves in the Inhomogeneous Magnetospheric Plasma: Resonant Interactions with Energetic Charged Particles, Surv. Geophys.30: 55. Cuperman S. 1981. Electromagnetic kinetic instabilities in multicomponent space plasmas: Theoretical predictions and computer simulation experiments. Revs. Geophys. Space Phys. 19: 307. Krimigis S.M. et al. 1986. The magnetosphere Of Uranus: hot plasma and radiation environment. Science 233(4759): 97. McNutt Jr. R.L., Selesnick R.S., Richardson J.D. 1987. Low-energy plasma observations in the magnetosphere of Uranus. J. Geophy. Res. 92(A5): 4399. Kurth W. S. 1992. Comparative observations of plasma waves at the outer planets. Adv. Space Res. 12(8): 83. Vi-as A.F., Mace R.L., Benson R.F. 2005. Dispersion characteristics for plasma resonances of Maxwellian and Kappa distribution plasmas and their comparisons to the IMAGE/RPI observations. J. Geophy. Res. 110: A06202. Pierrard V. and Lazar M. 2010. Kappa Distributions: Theory and applications in space plasma. Solar Physics 267, 153. Hudson M.K., Clark J.T., Warren J.A. 1989. Inospheric dynamo theory for production of far ultraviolet emissions on Uranus. J. Geophys. Res. 94: 6517. Pandey R.S., Kaur R., Kumar S., Kumar M. 2013. Study of VLF Mode Instability with AC Electric Field for Subtracted Bi-Maxwellian in the Magnetosphere of Uranus. J. Emerging Trends in Eng. And Applied Sci. 4(2): 201. Pandey R.S., Kaur R. 2012. Generation of low frequency electromagnetic wave by injection of cold electron for relativistic and non-relativistic subtracted bi-maxwellian distribution with perpendicular AC electric field for magnetosphere of Uranus. Progress in Electromagnetics Res. B 45: 337. Pandey R.S., Pandey R.P., Misra K.D. 2002. Temporal evolution of whistler mode instability due to cold plasma injection in the Presence of perpendicular AC electric field in the magnetosphere of Uranus. Earth, Moon and Planets 91: 209. Tokar R.L. and Gary S.P. 1985. The whistler mode in a Vlasov plasma. Phys. of Fluids 28: 1063. Gary S.P., 1985. Electrostatic instabilities in plasmas with two electron components. J. Geophys. Res. 90(A9): 8213. Bret A., Dieckmann M.E., Deutsch C. 2006. Oblique electromagnetic instabilities for a hot relativistic beam interacting with a hot and magnetized plasma. Physics of Plasma 13: 082109. Misra, K.D., Pandey, R.S. 1995. Generation of whistler emissions by injection of hot electrons in the presence of perpendicular AC electric field. J. Geophy. Res. 100(A10): 19405. Lazar M., Poedts S., Schlickeiser R., 2011, Instability of the parallel electromagnetic modes in Kappa distributed plasmas – I. Electron whistler-cyclotron modes. Monthly notice of Royal Astronomical Society 410 (1): 663. Pandey R.P., Singh K.M., Pandey R.S. 2001. A theoretical study of the whistler mode instability at the Uranian bow shock. Earth, Moon and Planets 87: 59. Xiao F. 2006. Modelling energetic particles by a relativistic kappa loss cone distribution function in plasmas, Plasma Phys. Controlled Fusion 48:203. Cattaert T., Hellberg M.A., Mace R.L., 2007. Oblique propagation of electromagnetic waves in a kappa-Maxwellian plasma. Physics of Plasma 14: 082111. Pandey R.S., Misra K.D. 2002. Excitation of oblique whistler waves in magnetosphere and in interplanetary space at 1 A.U. Earth Planets Space 54: 159. Ahirwar G. 2012. Study of electromagnetic electron cyclotron waves around plasma-pause region, Res. J. Engineering Sci. 1(6): 18. Pandey R. S., Pandey R.P., Srivastava A.K., Dubey K., 2005, Indian Journal of Radio & Space Physics, 34, 98. Pandey R.S., Pandey R.P., Srivastava A.K., Karim S.M., Hariom, 2008. The electromagnetic ion-cylclotron instability in the presence of AC electric field for lorentzian kappa. Progress in Electromagnetic Research M 1: 207. Connerny J.E.P., Acuna M.H., Ness N.F., 1987, J. Geophys. Res., 92, A13, 15329. Pandey R.S., Singh D.K. 2010. Study of electromagnetic ion cyclotron instability in magneto-plasma. Progress In Electromagnetics Research M 14: 147. Tyagi R.K., Srivastava K.K., Pandey R.S. 2011. Analysis of electrostatic ion-cyclotron instability driven by parallel flow velocity shear. Surface Engineering and Applied Electrochemistry 47 (4): 370. Cheng A.F., Krimigis S.M., Mauk B.H., Keath E.P., Maclennan C.G., Lanzerotti J.L., Paonessa M.T., Armstrong T.P. 1987. Energetic ion and electron phase space densities in the magnetosphere of Uranus. J. Geophys. Res. 92(A13): 15315. Gomberoff L., Neira R. 1983. Convective growth rate of ion-cyclotron waves in a H+ -He+, and H+-He+-O+ plasma. J. Geophys. Res. 88: 2170. Gomberoff L., Gnavi G., Gratton F.T. 1996. Minor heavy ion electromagnetic beam-plasma interaction. J. Geophys. Res. 101: 13517.